Here we list prices for our cabins. We offer several discounts during off-season. During off-season, our Self-Catering Cabins are popular among companies working around the Östersund area. For companies we offer a monthly discounted price: 9495 SEK + Business Service Fee (see below). *Children under 9 years stay for free. Discounted prices and special offers can’t be combined (i.e. a 1 person price can’t be combined with ‘last night for free’). Starting from 1 February 2017 a service fee of 27 SEK is charged per reservation made over email or phone of all self-catering cabins. Please note that sheets and/or towels are not included in the price, but we offer them for rent. Please make a reservation beforehand. The price for 1 set, including sheets and towel, is 75 SEK/set. If you rent 3 or more sets, the discounted price is 50 SEK/set. When you check out, please bring the dirty sheets and towels to the reception and hand them over to the staff (unless you also bought cleaning service, in that case you may leave them in the cabin). Normally you always clean the cabin yourself on checking out. However, we can clean the cabin for you. Please reserve this service as soon as possible, at the latest on the evening before departure. 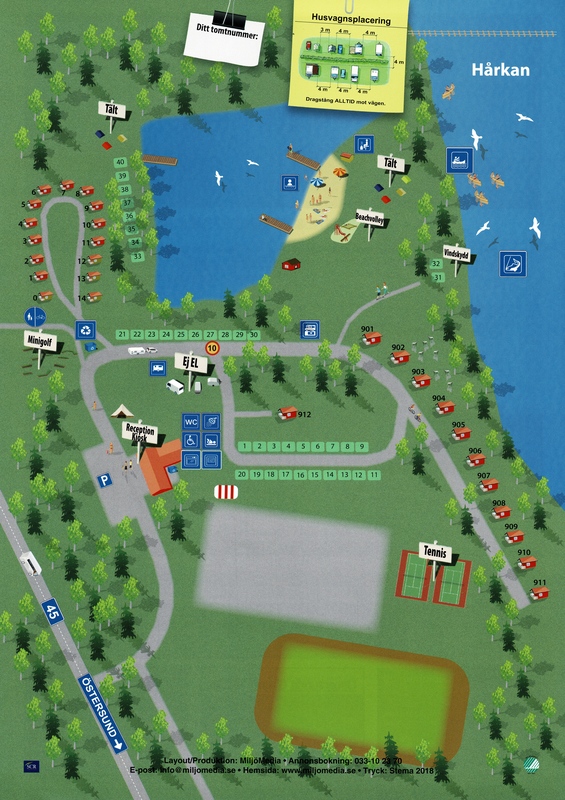 Camping Cabin 100 SEK (1-2 nights), 295 SEK (3+ nights). We then clean the whole cabin for you, with the exception of doing the dishes and carrying out the garbage. If you also rented sheets and towels, please leave these in a pile on the couch. For companies renting cabins we charge a business service fee including: cleaning service, sheets, towels, acess to laundry and dryer/dry-locker as well as administrative fees. The fee is 295 SEK (for stays shorter than 3 days) and 595 SEK (for stays longer than 3 days). The busines service fee is mandatory for companies renting cabins. During the football tournament Storsjöcupen (week 27) we only rent out cabins on a week-basis.